See also ChrisMicro's repository with maaaany new codes. Test all the components of your hardware. A claasiic by ChrisMicro!! Sounds like a heavy metal guitar or Pulp Fictions soundtrack. rightPot how fast the guitar is plucked. Algorithmic sounds, inspired by Viznut. 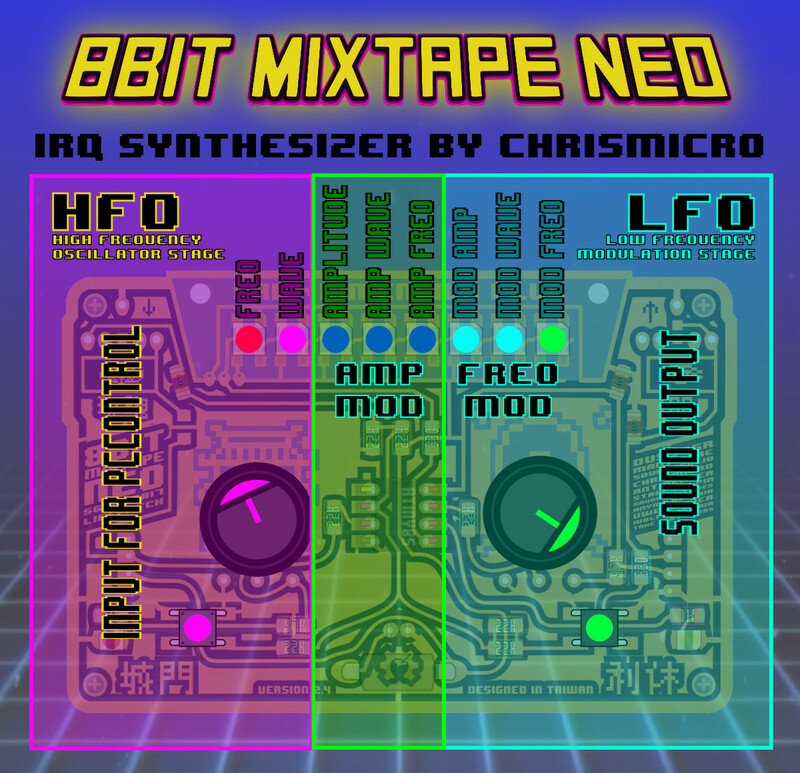 Updated the classic OneLiners to the 8Bit Mixtape NEO, turn on/off visuals. How to use it? Figure it out yourself, dude. 8 step sequencer with different waveforms by ChrisMicro. Same as above, but see here to connect to other synthesizers. A nice little synth noisy toy. We should add more settings to it. leftButton: trigger tone once and start ADSR. Because we can... Greetings from Taipei! Press rightButton to start playing the "song"
Outdated, but here due to historic reasons. A simple VCO, slightly outdated software syhnth, but cool with visuals now. Board needs to be restarted again after upload to work properly.